Formerly a TV pub with pool tables, The Duke of Sussex recently had a makeover. Now this gastro design pub offers a relaxed, cosy atmosphere where you can enjoy a good selection of beers and ales in the bar or sample the innovative yet simple, rustic British-European menu in the stylish restaurant. To accompany your meal there is an extensive, imaginative wine list. Duke of Sussex gyms, sporting activities, health & beauty and fitness. 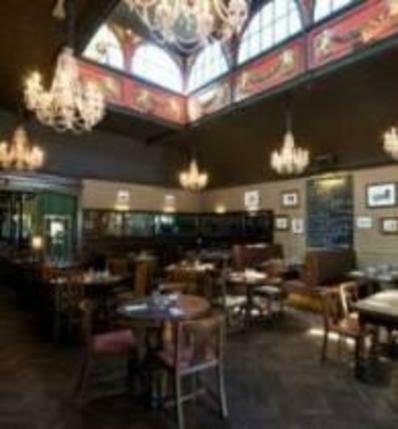 The best pubs near London Duke of Sussex. Duke of Sussex clubs, bars, cabaret nights, casinos and interesting nightlife. Where to have your meeting, conference, exhibition, private dining or training course near Duke of Sussex. From cheap budget places to stay to luxury 5 star hotels see our discounts for Duke of Sussex hotels, including DoubleTree by Hilton London - Ealing from 60% off.